Create a whole new profit center in your business! 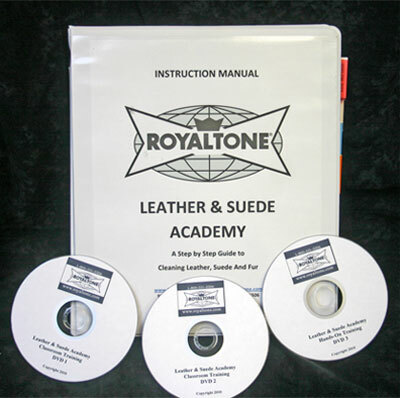 Includes 5 1/2 hour DVD instruction on wet washing and dry cleaning suede, leather and fur. Also includes a full written manual and final exam. Class taught by Frank Lucenta, Royaltone inventor and founder. CLICK HERE FOR MORE INFORMATION ON COMMERCIAL DRY CLEANING TRAINING AND DRYCLEANING LAUNDRY DETERGENTS.